Search engine optimization is the long term process of increasing your websites rankings on search engines like Google, Bing, and Yahoo. Optimizing your website will cause your site to show up for more and more customers who are actively looking for the products or services that you provide. You can then use your website as a sales tool to market to those customers specifically on these pages. The process of performing SEO work revolves around writing effective page copy, getting authoritative backlinks relative to your industry, building social signals, directory site submissions, running PPC (pay-per-click) campaigns, performing effective keyword research, and more. As the digital marketing world continues to evolve, a lot of businesses would benefit to providing quality content through blog posting, e-mail marketing, and newsletters. By covering the right topics beneficial to your products or services, you can connect with a wider audience who also happens to be interested in your products, services, and the information you provide to them. Why do you need SEO on your website? Even if you have the most beautiful website and a message that the world needs to hear, very few people will ever see it on the search engine results pages of Google without using SEO. 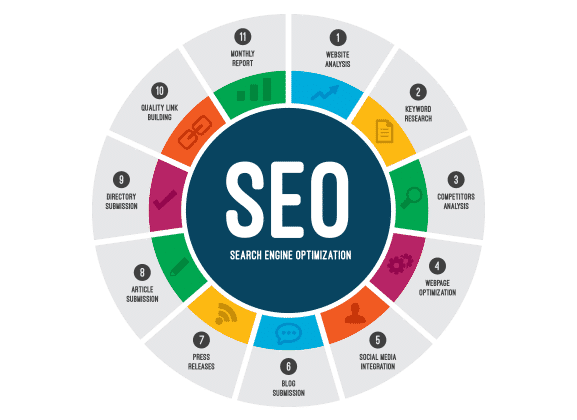 Search engine optimization is a complicated and intricate digital marketing strategy specifically for ranking for the right keywords and driving qualified traffic to your website. Building a great sitemap of related content, titles, tags, and images that match your keywords and key phrases will make your website more useful to the search engines and users. This is a best approach to building a strong website over time & generate leads without paying for billboards, TV, radio, and pay per click ads. The more people you can reach through digital marketing with SEO will increase your leads, brand awareness, and result in an overall increase in your online presence. The greater your online presence, the more people that will visit your site through organic searches, which will in turn result in more contact form submissions from engaged visitors who want what you have to offer. By performing search engine optimization tweaks both on and off your website, you can increase the amount of visitors your site receives over time. The goal in SEO is to make sure your business shows up for the keywords your customers are searching for, such as “plumber in Danville, IL” or “commercial roofing contractors in Covington, IN”. Making relevant and quality content for user intent and using the correct phrasing a customer would use, as well as using enticing page titles and meta descriptions to increase your CTR, or click through rate, will help tell Google that your site is the best result for that search. Every business has different goals which require a different plan of action. Lets develop a plan together that fits your business goals. Contact Us today to schedule a consultation. 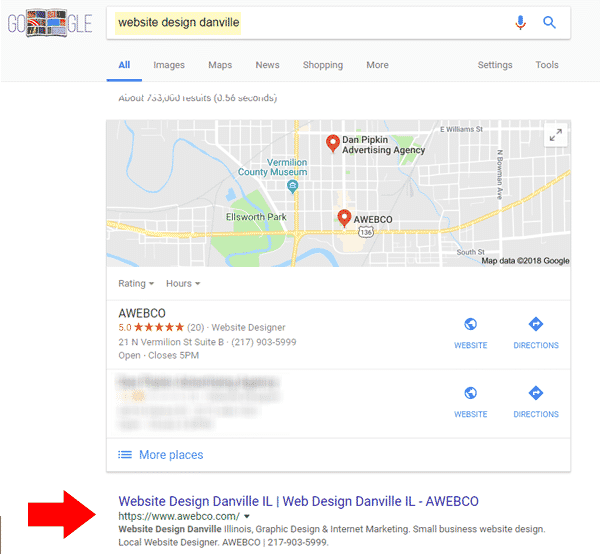 Our office is located in Danville, Illinois, and we work largely in the Midwest so we can personally communicate face to face, but we will provide your small business SEO services throughout the United States and get your website more qualified traffic & leads. Search engine optimization is cumulative and requires time to see results and begin to drive traffic. 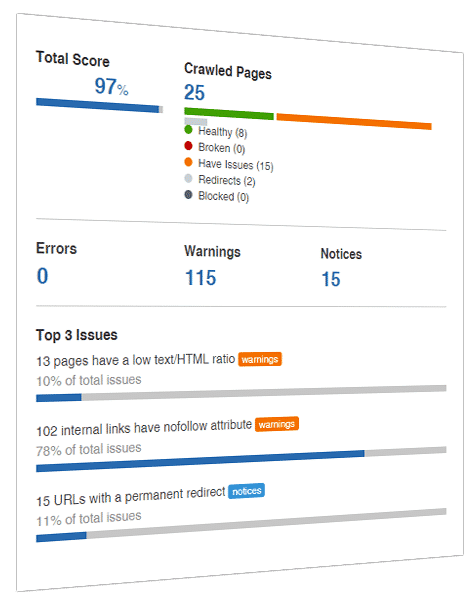 On-page SEO paired with social media management, paid search, link building and regular long-form blog posts is the most holistic approach to increasing overall traffic to your website. AWEBCO uses the best SEO practices approved by Google and stays current on all SEO news, updates, and algorithm changes. 75% of consumers use search engines to research and buy products or services. 75% of those users never scroll past the first page, so you can’t afford to be on page 3 or 4 and expect to convert new visitors into valuable leads. Tired of not being found on Google, Yahoo or Bing? Let us help you increase your rankings. Every click generated through SEO is organic and the customer is looking for it because they’re interested in what you have to offer, unlike traditional advertising which throws your offer in everyone’s face hoping that maybe one or two will be interested. Your customers will flow to your website naturally and buy from you when you give them what they are looking for online. When a customer sees your business on the first page of Google (which gets 75%+ of clicks MINIMUM), you will also be seen as the authority in that space for that search topic.